Representatives and staff from the RCVS attended the inaugural Vets: Stay, Go, Diversity (VSGD) Live! event in April to showcase its work on leadership, innovation and mental health. The VSGD event – inspired by the Vet Futures project – took place on Saturday 28 and Sunday 29 April at CodeNode, a community events venue in the City of London, and with an estimated 250 delegates in attendance, as well as online delegates, to discuss veterinary career diversity. RCVS Council member and Junior Vice-President elect Niall Connell (pictured right) gave a talk called ‘Discovering life after ill-health retirement’ about how he has continued to work in the veterinary sphere after his multiple sclerosis diagnosis in 2010. RCVS Senior Vice-President Chris Tufnell, who runs our ViVet innovation project, gave a presentation entitled ‘Playing our part in world progress through science, innovation and caring’. Rob Pettitt, Senior Lecturer in Small Animal Orthopaedics at the University of Liverpool, delivered a talk on behalf of our Mind Matters Initiative titled ‘Mind over surgical matter’ in which he spoke about his own experiences of mental ill-health. Professor Stuart Reid, Chair of the Mind Matters Initiative, joined RCVS Council member Jo Dyer in a workshop titled ‘We are all human: healthy minds for medics and vets’. Chris Tufnell took part in a workshop called ‘Practice makes perfect: Starting a veterinary business’. And finally, Chris and Danny held a panel discussion titled ‘Advocating for the profession in practice’. 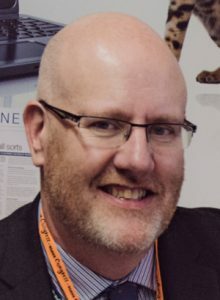 Ian Holloway, RCVS Director of Communications, said: “We were delighted to be invited to attend this new event which has grown out of a very popular Facebook group in which vets of all stages of their careers gathered to share stories and ideas on how to make the best of their veterinary education and experience. “As well as taking part in many of the talks and workshops the College we also had a stand at the event where we promoted our ViVet innovation programme which aims to ensure that the veterinary profession is at the forefront of technological and business innovation in the animal health space. For more information about the event, including recordings from the day, visit the VSGD LIVE website. 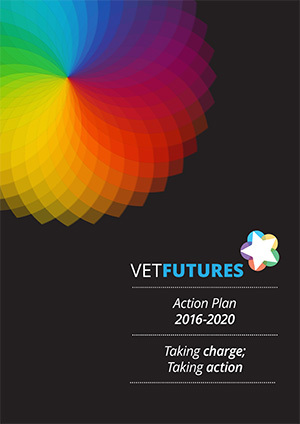 Vet bodies call on profession to highlight benefits of registering pets What’s your big idea?